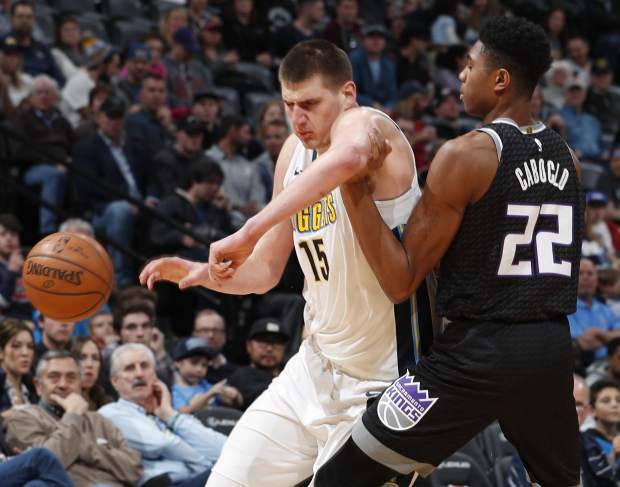 DENVER — Although Paul Millsap took his lumps — courtesy of teammate Nikola Jokic’s chin — his team only delivered them. 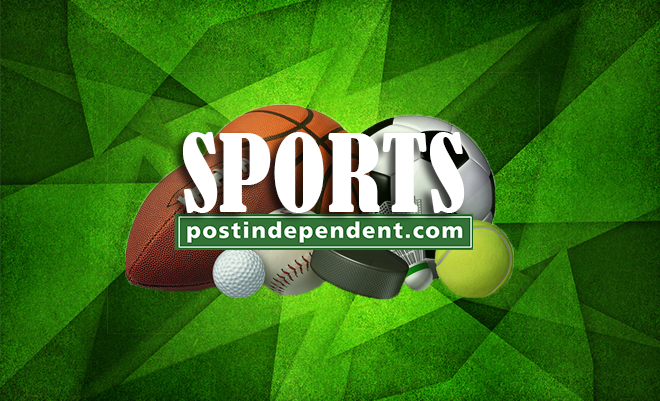 “Long overdue for a blowout like that,” Millsap said. Led by Harris and Will Barton, the Nuggets turned up the tempo in the second quarter to pull away. Denver was in such control that most of its starters — all but Harris — got the fourth quarter off. 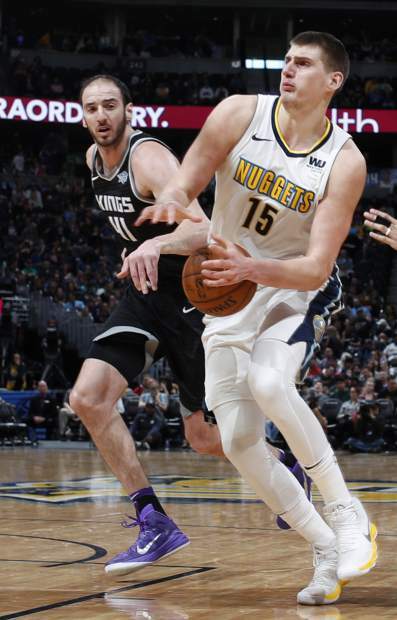 Jokic made his presence felt. Then again, that’s been the case since Malone had a talk with him after Jokic’s clunker of a game at Dallas last week. Malone’s message was straight to the point: Be more aggressive. It’s sinking in. Jokic has scored 36, 21 and now 20 since that conversation. 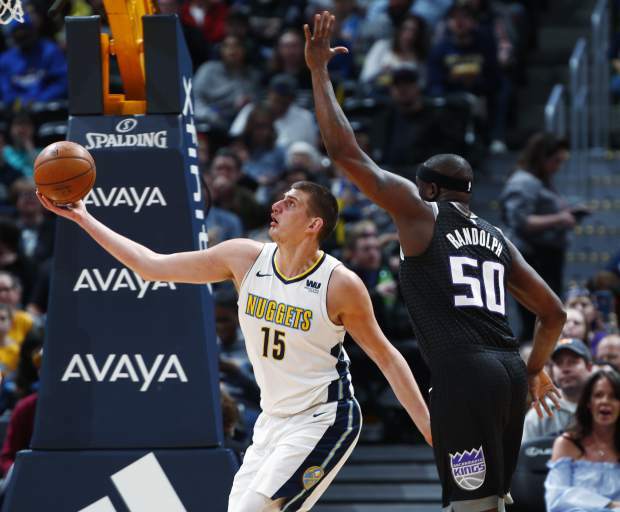 Sacramento big man Zach Randolph had high praise for Jokic. 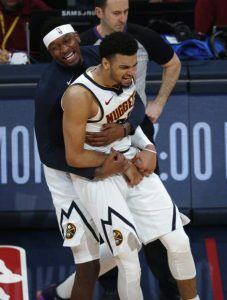 Everything went smoothly for the Nuggets before Millsap and Jokic were dinged up in a collision midway through the third quarter. Millsap’s head banged into the chin of Jokic when they were covering Randolph. 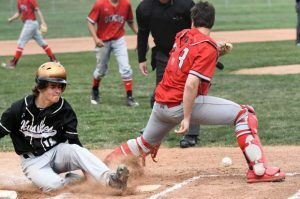 They remained in the game. 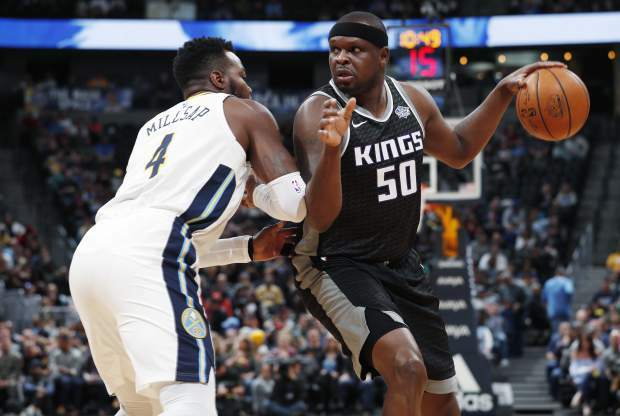 Buddy Hield scored 18 points, while former Nuggets player Kosta Koufos chipped in 14 points and 10 rebounds for the Kings. Kings: F Skal Labissiere missed the game with a bruised left hip. 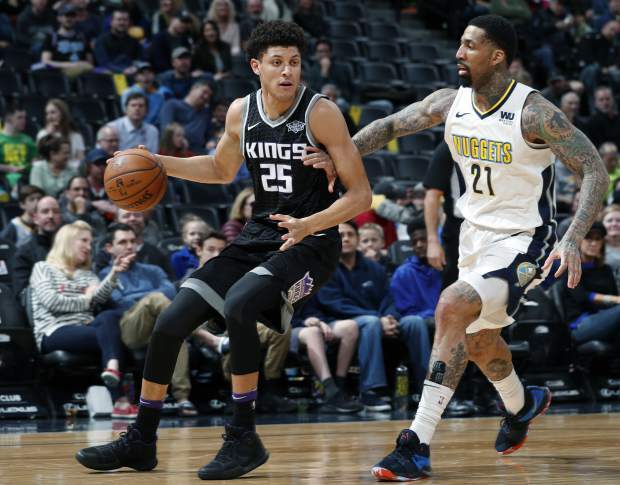 … C Willie Cauley-Stein and G De’Aaron Fox returned to the lineup after missing time with back ailments. Both Cauley-Stein and Fox scored 12 points. 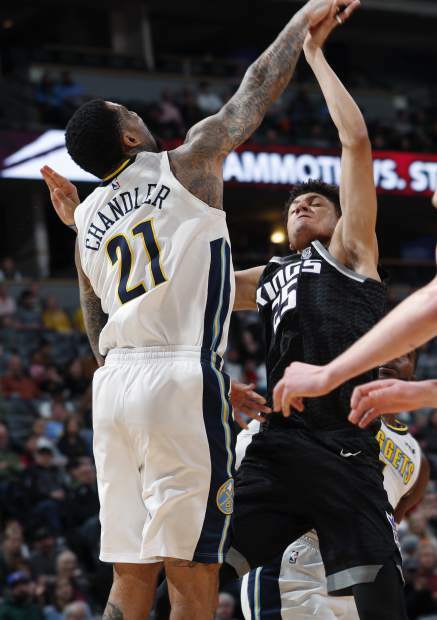 Nuggets: F Juancho Hernangomez was inactive with F Wilson Chandler back on the court after missing a game with hip soreness. Chandler had 16 points. … The Nuggets had a season-high 26 turnovers in a loss at Sacramento on Jan. 6. This time, Denver turned the ball over just eight times. … G Jamal Murray added 20 points. Malone spoke with Murray after the guard got under the skin of Los Angeles coach Luke Walton and the Lakers with his late-game trash talk in a 125-116 win Friday. 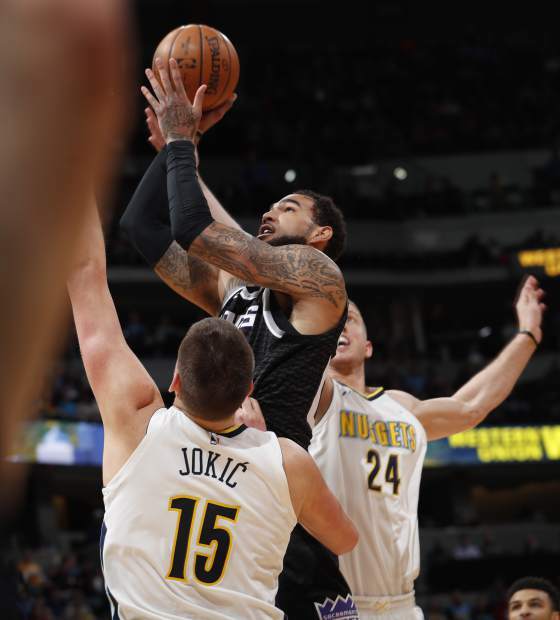 Murray was surprised that Jokic has just seven triple-doubles this season. 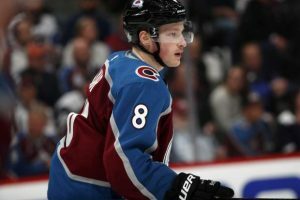 “It seems like he has like 20 at this point,” Murray said. Passing by Murray’s interview, veteran Richard Jefferson couldn’t help but comment on a well-dressed Murray. “This is a prime example of what Deion Sanders once said: ‘When you dress good, you feel good. When you feel good, you play good. When you play good, they pay good,’” Jefferson said, laughing, as he exited the locker room. Kings: Finish a two-game trip at Oklahoma City on Monday. The Kings are 4-9 on the second night of a back-to-back this season. Nuggets: At the Los Angeles Lakers on Tuesday. 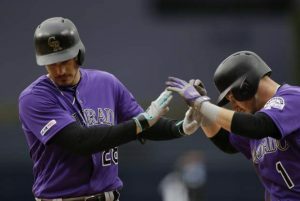 It could be testy, given Murray’s verbal sparring coming three months after he dribbled around Lonzo Ball in the waning seconds of a win in December.